This scheme has enabled substantive savings in subsidy on supply of LPG consumers to the households. 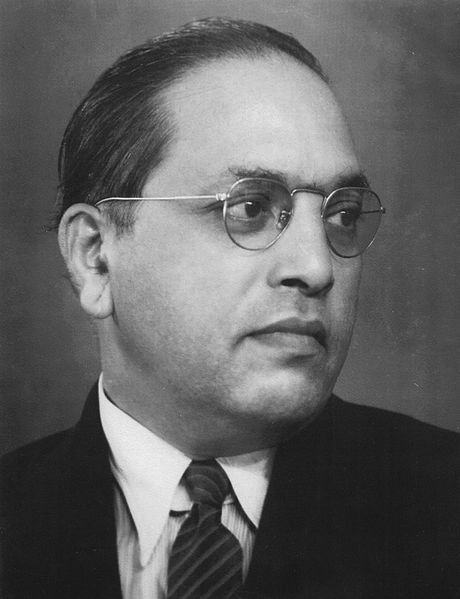 Bhimrao Ramji Ambedkar popularly known as Babasaheb, was an Indian jurist, economist, politician and social reformer who inspired the Modern Buddhist Movement and campaigned against social discrimination against Untouchables (Dalits), while also supporting the rights of women and labour. He was Independent India’s first law minister and the principal architect of the Constitution of India. Poona Pact:-In 1932, British announced the formation of a separate electorate for “Depressed Classes” in the Communal Award. Gandhi fiercely opposed a separate electorate for untouchables, saying he feared that such an arrangement would divide the Hindu community.Gandhi protested by fasting while imprisoned in the Yerwada Central Jail of Poona. Following the fast, Congress politicians and activists such as Madan Mohan Malaviya and Palwankar Baloo organised joint meetings with Ambedkar and his supporters at Yerwada.On 25 September 1932, the agreement known as Poona Pact was signed between Ambedkar (on behalf of the depressed classes among Hindus) and Madan Mohan Malaviya (on behalf of the other Hindus). The agreement gave reserved seats for the depressed classes in the Provisional legislatures, within the general electorate. Due to the pact, the depressed class received 148 seats in the legislature, instead of the 71 as allocated in the Communal Award earlier proposed by the British Prime Minister Ramsay MacDonald. The text uses the term “Depressed Classes” to denote Untouchables among Hindus who were later called Scheduled Castes and Scheduled Tribes under India Act 1935, and the later Indian Constitution of 1950. Outside India, during the late 1990s, some Hungarian Romani people drew parallels between their own situation and that of the downtrodden people in India. Inspired by Ambedkar, they started to convert to Buddhism. Indian Buddhists regard him as a Bodhisattva, although he never claimed it himself. 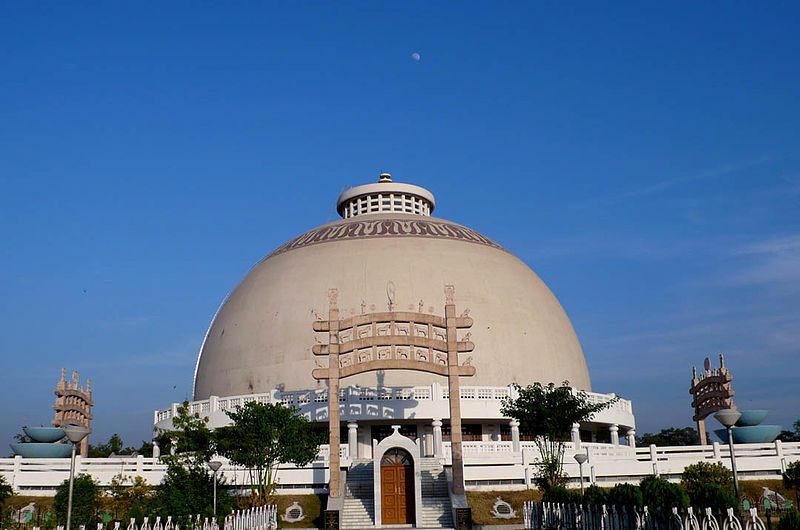 Chaitya Bhoomi (Maharastra) is a memorial to Dr. B R Ambedkar, Chief architect of Indian Constitution. Earlier known as Dadar Chowpatty it began to be known as Chaitya Bhoomi after Babasaheb Ambedkar was cremated here after his death on 6 December 1956. Ambedkar’s death anniversary, 6 December, is observed as Mahaparinirvan Din. Lakhs of people across the nation throng Chaityabhoomi to pay homage to him on this day has become an old custom. Treating young children afflicted by drug-sensitive TB disease will no longer be the same. After years of neglect, the availability of flavoured, easily dissolvable first-line TB drugs in correct doses marks a watershed moment as the special needs of these children will be met. The tablets, which are a combination of two and more medicines in a fixed dose (FDC), are meant for children weighing less than 25 kg. According to the World Health Organisation, at least 1 million children become ill with TB each year and 140,000 children die each year. It’s an irony that despite the high demand, children around the world have not had access to appropriate TB medicines. Young children, who have relatively greater mass of liver in proportion to total bodyweight, absorb and eliminate drugs faster than adults. Children are not little adults but need higher doses of the medicines than what they were receiving and what is prescribed for adults. In the absence of medicines of correct dosages, parents and caregivers were forced to crush or cut medicines meant for adults to achieve correct dosing. Very often, the crude method of crushing adult tablets resulted in imprecise dosing, not to mention the bitter taste when tablets were broken. It is likely that cutting and crushing of adult pills could have contributed to drug resistance as caregivers were never fully sure to give the right dosages. The availability of child-friendly drugs of correct dosages will have many advantages — dramatically simplify and improve adherence, improve overall treatment, stop the growth of drug-resistant TB, and save lives. “Article 370 has hampered the integration of Jammu and Kashmir with India”-What your view on this ?Should article 370 be removed from constitution of India ? What is Poona Pact and how it stopped the creation of Separate electorates.Do you think Separate electorates would have divided Indian Society ? Do you think “Give it Up” campaign will succeed ? “People usually don’t give up the benefit they receive irrespective of their economic status “-Comment. What is the cause and mode of propagation of the TB?What do you understand by drug-resistance TB ?